Zipcode Destiny | Hidden Brain There's a core belief embedded in the story of the United States: the American Dream. The possibility of climbing the economic ladder is central to that dream. This week we speak with Raj Chetty, one of the most influential economists alive today, about the state of economic mobility in the U.S. and whether the notion of the American Dream is still useful. For more information about the research in this episode, visit https://n.pr/2z8cvSs. This is HIDDEN BRAIN. I'm Shankar Vedantam. The week has just begun in Keystone, Iowa. We are here to bear witness to a family meeting - an intervention if you will. RACHEL KRUSE: It got kind of rough towards the end of the week, didn't it? We didn't feel like such a family, did we? VEDANTAM: Rachel Kruse is running this meeting. The other participants are gathered around her in a circle. A couple of them fidget, but most listen attentively. KRUSE: So on Friday, we decided that today we needed to have a family meeting, all right? So this weekend, I found this book, and it's called "It's Mine!" So when I read this book, I want you to think about how last week went and how this week could go. VEDANTAM: This family meeting is taking place in a kindergarten classroom in a rural part of eastern Iowa. Rachel is the teacher, and the lesson she wants to share is one that could have a lasting impact on her students. The story is set on an island. KRUSE: (Reading) On the island lived three quarrelsome frogs named Milton, Rupert and Lydia. They quarreled and quibbled from dawn to dusk. KRUSE: (Reading) Stay out of the pond, yelled Milton. The water is mine. UNIDENTIFIED CHILD #2: That's not nice. KRUSE: (Reading) Get off the island, shouted Rupert. The Earth is mine. KRUSE: It's not, is it? VEDANTAM: Then, a flood swallows up the island. KRUSE: (Reading) There was only one rock left. And there the frogs huddled, trembling from cold and fright. But they felt better now that they were together, sharing the same fears and hopes. VEDANTAM: Eventually, the sky clears. The frogs swim together, hop after butterflies and rest in the weeds. KRUSE: Right, we can work together, can't we? Because at the beginning of the story, when they were saying, it's mine, it's mine, was anybody having fun? VEDANTAM: But lessons like this one about the selfish frogs might have the greatest impact. VEDANTAM: In fact, this impact can actually be quantified in dollars. Today, we ask some questions with big implications. Can you put an economic value on a great kindergarten teacher? How is it that two children living just a few blocks from each other can have radically different chances in life? What is it that gives Salt Lake City an edge over Cleveland when it comes to offering people a better life than their parents? 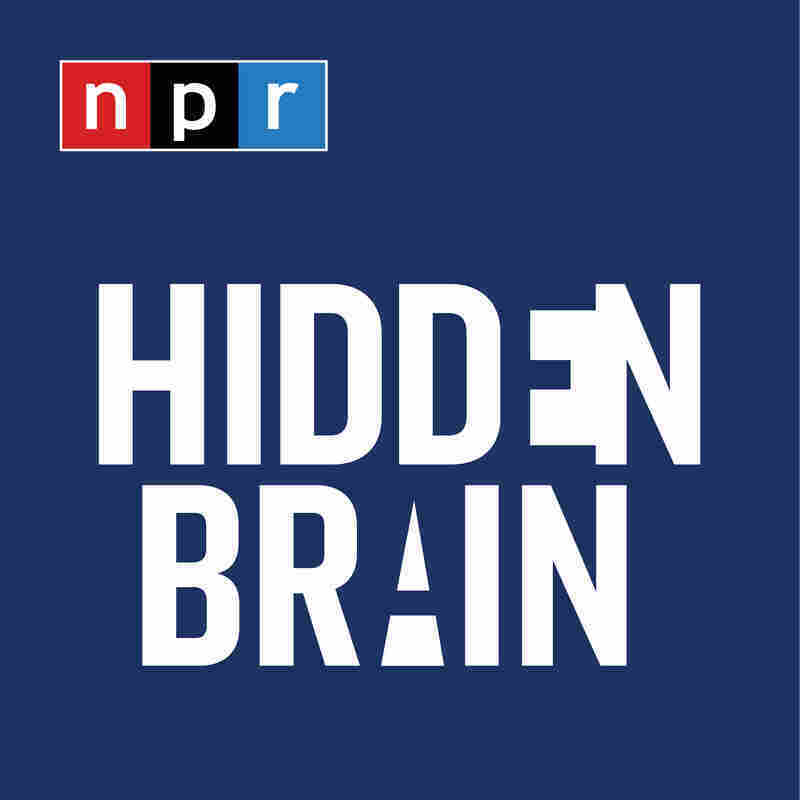 The state of your American dream - this week on HIDDEN BRAIN. VEDANTAM: The stories we tell about ourselves, stories of success and stories of failure, often have their beginnings in the distant past - sometimes in our childhoods, sometimes before we were even born. My guest today has explored this idea using hard data drawn from tens of millions of people. It's difficult to describe the range of things he does, except to say that Raj Chetty, an economist at Harvard University, might be the foremost authority today on the state of the American dream. Raj, welcome to HIDDEN BRAIN. RAJ CHETTY: Thank you, Shankar. It's a pleasure to be here. VEDANTAM: I want to begin by looking at snapshots in time, Raj. And these are moments from your own life that I think explain a great deal about your work. The first snapshot is when you're living in New Delhi, in India, and you go to see the Taj Mahal. It's a few hours from your home in Delhi. What do you see? CHETTY: Well, it was the first time I'd been to the Taj Mahal. And, you know, of course, like everyone, it's overwhelming in its beauty and how impressive of a monument it is. But I think what I was most struck by is after then coming back out of the monument, which was very immaculately kept and maintained, seeing the abject poverty outside the Taj Mahal - people begging for money, kids who don't have clothes, who are on the street, you know, don't have adequate food. Certainly, I was exposed to inequality, you know, throughout childhood, but I think this was just such a vivid version of it that stuck in my mind for many years. VEDANTAM: A couple of years after you visit the Taj Mahal, your family immigrates to the United States. You are in a private school in Milwaukee. You play tennis and chess, and so you visit other schools in the area for competitions. What do you see? CHETTY: So a similar experience, actually. So I went to a private school on the north side of Milwaukee called University School. And we'd compete with other schools in, as you said, in tennis and chess. And you'd just see, again, the remarkable differences in the physical structure of these schools. So the school that I went to was on something like a 150-acre campus with lots of college-level classes. And in contrast, you know, the schools we'd visit were public schools in the city of Milwaukee, which, as you might know, these are schools that have faced a lot of challenges, and that was just evident, you know, as a child, seeing the opportunities kids there had, talking to them about the types of classes they could take - again, just really seeing a world with tremendous inequity and wondering, you know, how did I end up in this position, and how did these kids, who, at some level, were very similar - we're sitting on different sides of the chessboard - how did they end up in a different position in terms of what they had in opportunities? VEDANTAM: So let's take these ideas from these snapshots - you know, questions related to inequality, to segregation and to opportunity - and dive into some of the research that you've conducted. You once did a study that determined the precise value of having a great kindergarten teacher. Tell me about that study and what the value is that you computed. CHETTY: Yeah. So social scientists have, for a long time, been studying and been interested in understanding how education affects kids' outcomes. Most prior studies that have been done look at impacts on outcomes like test scores. So if you have a better teacher, for instance, or if you're in a smaller classroom, do you do better as measured by standardized tests? Now, one of the puzzling findings from that earlier work is that you tend to find that if you're in what you might think of as a better classroom - let's take, as a concrete example, classroom with a smaller number of kids - you tend to see that kids in those types of classes tend to have higher test scores at the end of that school year, but those gains quickly fade away. So that is if I was in a better kindergarten classroom, I'm doing better at the end of kindergarten, but only a little better at the end of first grade. And by the time I'm in second or third grade, my performance on standardized tests basically looks comparable to other kids who were in different classes. So that, I think, that fade-out pattern, led to a lot of discouragement among education researchers, saying, oh, it looks like these interventions that we're all studying - reducing class size, trying to improve teacher quality, so forth - they seem to have some impacts, but these impacts don't seem to last. So, you know, is this kind of a losing cause in the long run? VEDANTAM: The fade-out effect was discouraging. But Raj had a hunch that maybe the long-term research had not tracked the kids long enough. He found data from an older experiment from Tennessee. The students in this experiment had been randomly assigned to different kindergarten classrooms within their schools. Some had small class sizes of about 15 students. Others were placed in classes that had about 25 students. Raj and his colleagues did something novel with the data to discover the long-term - the really long-term - effects of kindergarten classrooms on students. CHETTY: We take kind of a big-data approach and link the school district records for those 12,000 kids to income tax records and Social Security records many years later that basically allow us to ask, how did your earnings when you're, say, 25 or 30 years old, vary depending upon which kindergarten classroom you were assigned to? So what this allows you to do is go beyond asking what are the impacts of these interventions on test scores, and ask what are the impacts on things we actually care about at the end of the day - the types of jobs people end up getting, how much they're earning, whether they go to college or not, and so forth. And what you end up finding, in a nutshell, is actually quite striking, which is even though you see this fade-out pattern that I was describing in terms of test score achievement, the gains actually reemerge in adulthood. The children who were assigned to better teachers, to smaller classes, are doing significantly better as adults, showing that early childhood education does in fact have lasting impacts, even though curiously those impacts don't seem to last in terms of test scores. VEDANTAM: I mean, it's a remarkable finding because I think when most of us think about it, we sort of say, well, schooling is important. But if you were to ask me, does what happen in kindergarten affect you when you're 30 years old, I would have to say it's probably really marginal. But that's not what you're finding. CHETTY: Yeah. And so, to be clear, it is one of many, many different things that matters, right? So I would not say the kindergarten classroom that you're in sort of determines your fate. It's one of a hundred things that influences your outcomes. However, if, on average, you're assigned to a better teacher or to a smaller class, we see measurable improvements in children's outcomes on the order of thousands of dollars of earnings per year. And so the kind of quantification of that, that we put out in that paper, is you can think of having a better kindergarten teacher as being worth something like $300,000 for a classroom of students. VEDANTAM: That $300,000 figure is an estimate of how much more the kids in the class would earn over their lifetimes. It's the difference between the earnings from a class with a high-quality kindergarten teacher and a class with an average teacher. Where Raj has found a way to quantify the economic value of a great kindergarten teacher, he has found it harder to identify what exactly makes a great kindergarten teacher. It turns out that credentials, like where a teacher went to college, are not very helpful in predicting whether someone's going to be a good teacher. So Raj looked instead at how teachers taught their students. CHETTY: It's less about, you know, you're very good at explaining certain mathematical concepts, and something a little bit more nebulous about how well, for instance, you're able to manage a classroom of small children, some of whom might end up being disruptive. Are you able to keep people focused? Are you able to inspire people? How you go about measuring those things systematically I think is a very interesting question. And even more importantly, how can we then, perhaps, train teachers to do better on those dimensions? That would be incredibly valuable. But at the moment, I think the best summary is we don't quite know yet. VEDANTAM: Let's stick with this theory, that in some ways what's happening, the difference between the great teacher and the not-so-great teacher might not necessarily be, you know, is one teacher better at teaching the alphabet or teaching the children to count numbers - but is communicating something else, something else that actually has, you know, not necessarily immediate benefits in the next year or two, but actually has potentially large benefits over the course of a lifetime. What kind of skills might those be? CHETTY: Yeah, so I think, you know, examples of those kinds of skills might be what we'd call noncognitive skills. Or sometimes they're called soft skills - so not the, you know, are you able to do what's measured commonly on standardized tests. But rather, how well do you get along with others, and how disciplined are you? How focused are you? So that's not just speculation. In fact, as part of this study, we have some evidence that supports exactly that kind of reasoning. So it turns out in this Tennessee STAR experiment, they took these students in eighth grade and had their teachers rate them on 28 different measures of noncognitive skills - so asking them, the teacher, does this student get along well with his or her peers? Is the student able to concentrate and so forth? And what's really interesting is that the students who had better kindergarten classrooms, they score significantly higher on these noncognitive measures. So you're seeing persistent gains that last for at least eight years on these noncognitive dimensions. And moreover, if you look at what correlates more strongly with later outcomes in adulthood, like earnings, employment rates, college attendance, it's actually these noncognitive measures that are more predictive than the traditional cognitive skills that we tend to focus on. That is, if I ask, which is more predictive of how much you will earn, someone who gets along well with their peers or someone who scores very high on math tests, it's the person who gets along with other people that, on average, is doing better in adulthood. You know, putting all those pieces of evidence together, my reading is that early environments and classrooms, teachers and so on, matter not because of the technical skills you're learning but because of this broader set of skills that have big payoffs in the labor market. VEDANTAM: When we come back, we move from classrooms to neighborhoods, how the neighborhood you live in could be an engine for success or a brake on your ambitions. VEDANTAM: There's a core belief that's embedded in the story of America. BARACK OBAMA: The idea that if you're willing to work hard, it doesn't matter who you are or where you come from or what you look like. GEORGE W. BUSH: And together we will create an America that is open, so every citizen has access to the American dream. VEDANTAM: The American dream, this idea that it's possible for anyone to climb the economic ladder and have a stable, prosperous life, this idea has endured across generations. LYNDON B. JOHNSON: A dream of a place where a free man could build for himself and raise his children to a better life. RONALD REAGAN: That dream is the heart and soul of America. It's the promise that keeps our nation forever good and generous. VEDANTAM: But increasingly, many people have come to question whether this dream is possible anymore. Both Republicans and Democrats have argued the American dream is unraveling. PRESIDENT DONALD TRUMP: The American dream is dead. ELIZABETH WARREN: You and I may be the first generation in American history to see our kids do worse than we did. VEDANTAM: Raj Chetty says economic mobility has fallen in the U.S. compared to 50 years ago. Far fewer people today are doing better than their parents. But when you take a close look at the data, the picture that emerges is much more nuanced. CHETTY: So think about upward mobility in the context of the classic rags-to-riches kind of notion. Suppose you're a kid growing up in a low-income family, say the bottom fifth of the income distribution. What are your odds of reaching the top fifth of the income distribution, making the leap from the bottom to the top? So it turns out, if you look at the U.S. as a whole, that number is 7.5 percent. Seven-and-a-half percent of kids who start out in a relatively low income family will end up reaching the top fifth on average. But if you then break that data down and ask, how does that vary depending upon which state or which county you're growing up in, you see that it actually varies dramatically. So in certain parts of the U.S. - for example, in rural Iowa or much of the Great Plains or certain cities, like Salt Lake City or San Francisco, for example - your odds of rising from the bottom fifth to the top fifth are something like 14 or 15 percent, twice as high as the national average. In contrast, if you look at the other end of the spectrum - look at cities like Charlotte, N.C., Atlanta, Ga., or more generally, much of the southeastern United States or places in the industrial Midwest, like Detroit or Cleveland - your odds of rising from the bottom to the top are below 5 percent, sometimes even only 3.5 or 4 percent. Now, those differences that I just mentioned, they're quite substantial. They're basically saying that for a given child, your odds of making it to the middle class or to the upper middle class are two or three times higher if you happen to be growing up in one place relative to another. And so what I often say is people ask, you know, is the American dream alive or not today? And I actually think the question itself is sort of ill-posed. The term the American dream - really, we should think of it as the Iowa dream or the Atlanta dream or the California dream because there's so much variation within this country. VEDANTAM: So one of the big insights of this work in some ways is that rather than looking at the nation as a whole, it's actually useful to look at these, you know, metropolitan areas or cities because in some ways, they paint very different pictures. But in your most recent work, you've actually taken this a step further and said you can actually look within cities and find even more granular details about the state of upward mobility. Talk to me about this work. CHETTY: Yeah, that's exactly right. So as we've been proceeding on this work, we've been taking the approach of kind of going to finer and finer levels of geography. So the Atlanta-versus-Salt-Lake-City-or-San-Francisco contrast I think is interesting. But what was even more surprising to us is if I look within Atlanta or I look within Los Angeles, turns out you can essentially see the same amount of variation that you see in the U.S. as a whole when you look within a few miles in a given city. So to give you some specific examples again, let's focus on the city of Los Angeles, to take one case. So many people are familiar with certain neighborhoods in Los Angeles, like Compton and Watts, which have been known for many decades to be tough areas with high rates of crime, high rates of poverty and adverse outcomes due to various structural factors. Now, we showed that kids who grow up in those specific neighborhoods - so, for instance, kids who grow up in Watts, and black men in particular who grow up in that area - have very adverse outcomes. So for example, black men who grow up in low-income families in Watts on average have earnings of only $7,000 a year in their mid-30s. And that is the average, right? So that means that the vast majority of these men have incomes very close to zero. They're non-working and so forth. Another somewhat shocking statistic, black men growing up in that particular census tract have something like a 45 percent chance of being incarcerated on any given day, which means that their lifetime chance of ever being incarcerated is much higher, you know, could well be something like 70 or 80 percent. VEDANTAM: Did you say on any given day? CHETTY: On a given day. On a given day - the date of the 2010 census, 45 percent of the black men who grew up in this tract in Watts - it's called the Nickerson Gardens public housing project. Forty-five percent of them are incarcerated. It's a shocking statement about, I mean, the United States I think, that we have such high levels of incarceration in certain cases. But that is a fact about that tract. Now, you know, at some level, for people living in LA - maybe shocked by that magnitude, but maybe not surprised by the fact that there are very adverse outcomes for kids growing up in that area. Here's maybe something you didn't know, though. If you go a mile or two away, to Compton, you see that rates of incarceration for black men growing up there in families of comparable income are something like 6 percent. So still actually high - 6 percent is not a small number. But relative to 45 percent, it's dramatically lower. And so that's the sense in which when you look at these maps, which we've put out in the form of an interactive tool where you can look at your own address, look at any neighborhood in the United States - 70,000 different neighborhoods splitting up each of these cities into different areas - you see this tremendous variation across very short distances. For kids who grow up in families with comparable income, same racial background, where you're growing up really seems to matter. VEDANTAM: Where you grow up really seems to matter. The question is, why? What explains the difference between Salt Lake City and Charlotte? CHETTY: So we don't know yet exactly what is the recipe to produce better outcomes in one place relative to another. But we've looked at a variety of different factors that economists and sociologists have talked about over the years as potentially driving differences in outcomes. And we've identified five or six different things that really seem like strong predictors of these differences. So the first is segregation. So cities that are more segregated by race or by income, where blacks and whites are not interacting as much or where low-income and high-income families are living separated from each other, segregated places like that tend to have much worse outcomes for people of all racial and ethnic groups. So that's one strong pattern in the data. VEDANTAM: Raj has found that upward mobility is less common in places that have a smaller middle class. He's also noticed some other patterns. CHETTY: We find that there's a very strong association between these outcomes and measures of family structure in a neighborhood. So in particular, one of the strongest patterns in the data is that areas where more kids are raised by two-parent families tend to have higher rates of upward mobility. Now, in interpreting that correlation, it's very important to note that it's not mechanically driven by the fact that growing up yourself in a two-parent family leads to better outcomes for a given kid. What we find is even if your own parents are married, if you grow up in an area where a lot of kids are being raised by single parents, you are less likely to climb the income ladder. So what that shows you is this is not the direct effect of your own parents' marital status. It's again something about community-level factors that are associated with the fraction of single parents in an area that's predictive of kids' outcomes. Now, somewhat related to that is the idea of social capital, a concept popularized by my Harvard colleague Bob Putnam. I think of the old adage that it takes a village to raise a child as a way to think about what social capital is. Will someone else help you out even if you're not doing well? Salt Lake City, with the Mormon Church, is thought to be a canonical example of a city with a lot of social capital and correspondingly has high rates of upward mobility. And so as best we can measure it, we find that places with higher levels of social capital tend to have higher levels of upward mobility. And then finally, I'll mention one last one. Coming back to our discussion about schools, as you might expect intuitively, places that have better schools tend to have higher rates of upward mobility. And I think that connection is particularly important to note because schools are something that I think fall clearly in the policy domain where we might be able to figure out how to make changes to improve the quality of schools. Some of the other factors I've been describing, while I think they're very important to study and interesting to understand, it's harder to figure out what do you do to try to change social capital or family structures in an area. That's, I think, a little bit more complicated, at least to figure out from a policy point of view. VEDANTAM: So Raj established that where you grew up and the kind of school you attend can make a big difference in your life. So the obvious policy implication is move people from areas where outcomes are worse to places where outcomes are better. In the 1990s, the federal government tested this very idea with a program called Moving to Opportunity. BOB EDWARDS, BYLINE: This is Morning Edition. I'm Bob Edwards. The federal government is conducting an experiment. It's helping poor people from five cities move into middle-class neighborhoods. Volunteer families were transferred out of troubled sections of Los Angeles, Boston, New York, Chicago and Baltimore. With the help of rent subsidies, the families move to more affluent areas, often in the suburbs. VEDANTAM: Very much like the studies on the effects of great kindergarten teachers, the results from the Moving to Opportunity experiment were underwhelming. But Raj did exactly what he had done with the classroom studies. He asked whether researchers had studied the effects of this program long enough. CHETTY: The Moving to Opportunity study was in some ways a landmark study in this field because it said, let's take the perspective of a scientific experiment. We have some evidence where it looks like outcomes vary across these neighborhoods. And let's just go out there and really randomly assign families effectively by giving them vouchers to different neighborhoods and see if outcomes differ. And I think everyone who was involved in that study at that point was expecting to see that you'd find really big and immediate impacts on people's outcomes, and this would show that environment really matters. And we would go from there in developing affordable housing policy and so forth. And very disappointingly, the initial studies - and there were many of these - almost uniformly showed that Moving to Opportunity had no real detectable economic impact. There were, to be clear, improvements in the health of adults and other dimensions that we care about - you know, reports of how depressed people were feeling or even indicators of rates of diabetes, things like that. You did see changes there. But in terms of economic outcomes - employment rates, earnings and so forth - didn't find much of an effect. Now, all of those initial studies were looking at the impacts of Moving to Opportunity on adults or kids who were relatively old. They were in their teens at the point of the move. And there was a very simple reason for that. People were eager to evaluate the results of the intervention. And of course, you couldn't look at young kids' outcomes very quickly after the point of the experiment in the mid-1990s because it would take time for the kids to grow up and then see their earnings in adulthood and so forth. So what we did is echoing, you know, some of the themes actually of what we talked about earlier with the Tennessee STAR experiment, we went back to the Moving to Opportunity data, linked that to tax records in order to be able to track people over a longer period of time. And we had a very clear hypothesis going into the study that maybe the reason people hadn't found effects in the Moving to Opportunity data is that it takes time for environment to have an impact. It's not that I just help you move to a different neighborhood and tomorrow, you end up having completely different outcomes. Rather, it's related to exposure. You have to spend a lot of time, perhaps, growing up in a given place in order to see - really see measurable changes. And so what we found when we went back to the data is remarkably that that's exactly what's going on. If you look at kids who were relatively young - say, below age 12 at the point that they moved as part of this experiment - you see quite substantial gains as a result of moving to a lower-poverty, middle-class neighborhood - something like a 30 percent increase in earnings, 30 percent increase in college attendance rates, 25 percent reduction in the rate of having a teenage birth. So on a variety of outcomes, quite substantial gains. But if you do the exact same analysis for kids who moved at older ages, you see essentially no gain at all. And if you look at adults who moved as part of the experiment, verifying what earlier studies found, we see no gains at all. And so what that's very consistent with is the idea that there's sort of a dosage effect, or every extra year you spend growing up in a better neighborhood helps you in the long run. But those effects really cumulate to something we're able to detect in the data only if people move young enough. VEDANTAM: If there is one theme that emerges from this kind of analysis, it is about the value of nuances. It is true that geography and education matter. But there are also social factors that have independent effects - a big one, race. CHETTY: Neighborhoods matter, but they're certainly not everything. I mean, I want to be very clear about that. And so race is a very good example where it illustrates that you shouldn't think about neighborhoods as being an environmental set of factors that applies to everyone equally. When we break the data down by race, we find very stark differences, in particular between black and white men growing up in a given neighborhood. For women, there actually aren't very large differences in rates of upward or downward mobility between black and white women. But for black versus white men, you see really stark differences in rates of mobility. A black man and a white men who grow up in families with comparable income, living on the same block, both two-parent families, similar levels of education, similar levels of wealth - so basically, control for all the family-level factors that you can sort of think of. You still see that the black man has much lower chances of climbing the income ladder than white men. And perhaps even more alarmingly, black men have much higher rates of downward mobility than white men. If you're born to an affluent family as a black man, you are much more likely to fall down the income ladder than white men are, who tend to persist near the top of the income distribution. The way I like to think about it is, if you think about upward mobility as climbing an income ladder for white men, it's more like being on a treadmill for black men. Even after you climb up in one generation, you tend to fall back down in the next generation. And that's true even among two kids who grow up in the same neighborhood, who go to the same school and so forth. VEDANTAM: So this presents, obviously, a puzzle. If you have two families, one black, one white, they both have, you know, a son and a daughter. What you're saying is, on average, the white boy is going to do significantly better than the black boy. But the white girl isn't going to do significantly better than the black girl. How do you explain this? CHETTY: You know, again, I think the explanation is something that remains to be fully resolved. But I can give you some sense of what we think might be going on. So when we then use this neighborhood-level data, this granular information, you can go and ask, are there some places in America where we actually see black men doing relatively well? And what might we be able to learn from those examples? So it turns out you can look at certain places - Silver Spring in Maryland, for example. More generally there are a scattered set of areas across the United States where you see relatively good outcomes for black men. And they tend to have three characteristics, which I think shed some light on why these gaps prevail for men rather than women. So first, we find that these places tend to have relatively low poverty rates. So they have good resources. Second, as you might expect intuitively, they have low levels of racial bias among whites. We find that places with less racial bias have relatively good outcomes for black men relative to white men. And then the third factor we identify is that areas with high rates of father presence, where lots of kids again are being raised in two-parent families and, in particular, black kids are being raised in two parent families, they tend to have particularly good outcomes for black boys relative to white boys. Now, importantly that last correlation that I mentioned, that's true only for black boys. When black girls grow up in an area with greater presence of fathers, their outcomes look pretty similar. And so coming back to your question, what is driving these gender disparities, my sense from this data, while it's not conclusive, it suggests that environmental factors are amplifying these disparities for black men in particular. VEDANTAM: When we come back, how Raj's insights can be applied to policy. VEDANTAM: Raj Chetty has spent years mining vast troves of data to understand economic mobility and inequality in the United States. Increasingly, Raj and his team are moving from analysis to action. They are asking how the insights they have generated might improve, for example, the quality of education. CHETTY: My big-picture take is we should be doing everything we can to try to have the best teachers in American classrooms. And I think the systems that we currently have in place, for various reasons, don't really achieve that goal. So in most professions in the United States, if you're generating a lot of value for your company, people are going to be able to make changes to try to keep you, right? So you might get a pay raise. You might get a different portfolio of what you have to manage. You might get a promotion in various ways. In most schools, salaries are basically set in lockstep to experience, with no ability for the principals to have discretion to give teachers a bonus if they're doing extremely well or try to, you know, give a retention package to a teacher who has a really attractive offer from a private school or from a totally different employer. And so I think creating a little bit more of that flexibility to retain and recruit top talent in teaching, just like we do in the rest of the economy in the United States, could be incredibly valuable. But I think, you know, more broadly, what I see as the broader problem is teaching is often not viewed as the first profession you'd choose to pursue if you're a really talented kid in the United States. And I think that's really not a good state of affairs. Countries that have excellent educational systems that people point to - Finland, for example - you often hear that kids' aspiration, if they're doing really well in school, is to become a teacher. And so given the importance of teaching, as we've established, for kids' long-term outcomes, broadly, I think it's extremely important that it's viewed as a high-status, very desirable profession to go into. VEDANTAM: I want to spend a moment just talking about the caution that might be needed in terms of sort of applying policy solutions. So for example, you'll find that when really good teachers move into some schools, they have measurable effects, they raise the test scores of students, and over time, this has measurable effects on the long-term outcomes of those students. So you would say, we should actually try and get the teachers who can boost test scores. But of course, if you actually implemented that as policy, you would have schools and teachers now focused on just boosting test scores and teaching to the test, and presumably, you might not actually get the benefit of what you were hoping to get, which is great teaching, not just great test scores. CHETTY: No, that's quite right. And I mean, I think that's an important caution that you have to think about in this context. So if you use test score-based measures to evaluate teachers, it's possible that you will get a lot of teaching to the test. Now, the way I view it, again, from a scientific point of view, is it's an empirical question. To what extent - when you have incentive systems where you reward teachers based on their productivity, as measured by tests, to what extent do you get unproductive behavior? And if you do, can you do things to combat that? So - give you a very simple example - if we're worried that teachers do things that lead to unproductive teaching to the test in the short run that just artificially boosts your test scores at the end of the current year but doesn't lead to persistent learning, one thing we might be able to do is look at your test scores then in the next grade or the year after and ask, does it seem like these students are continuing to do better, even in the years after they leave your classroom? And if they are, then maybe, you know, you are actually teaching them something that's valuable, and so we're going to reward the teachers who have these persistent impacts rather than the teachers who only have short-term impacts. All of that said, I don't think the policy solution here is some kind of, you know, algorithmic thing, where we just say, we're going to look at your students' test scores and determine your employment and promotion outcomes purely based on that. I view this more as useful information that principals or other managers - that they should incorporate into decisions that they're making and give them the leeway to do that. VEDANTAM: Another policy domain that I asked Raj about is housing. For example, if younger kids do better than older kids when they move to new neighborhoods, should housing vouchers be focused on families with the youngest children? CHETTY: We are using our data to identify neighborhoods that would be affordable to low-income families but deliver much better outcomes for their kids. So think of these as places that are basically opportunity bargains. They are places that have good outcomes yet are still affordable. And so what we're doing is providing families, when they come in to apply for a housing voucher, information about these opportunity bargain areas. We're providing assistance to those families in the form of rental brokers - basically, helping them go to those places, look for housing in those places. And we're recruiting landlords in those areas to encourage them to rent their houses to tenants, simplifying the inspection process, simplifying the paperwork, and so forth. And the whole goal of this is, without spending any extra money on the vouchers, try to basically achieve more bang for the buck by helping families move to those places. So you know, the idea is to use the research to try to then make policy changes that will allow us to achieve better outcomes. Just one other, you know, angle on that which is important - this whole study is focused on families with young kids, given our finding that helping people move when they're much older really doesn't have much of an impact - and so another way in which you can see the research directly informing policy design. VEDANTAM: I'm wondering if one concern that is sometimes raised, in terms of sort of the geographic distribution of mobility and the policy solutions that might follow from it, is - you know, so let's say, for example, you look at the Los Angeles data you told me, and one of the policy implications that comes from this is, can we get the kid who's growing up in Watts to move a couple of miles to be growing up in Compton and potentially have better outcomes? And let's assume for a second that you actually had empirical data that showed you that this was actually possible to do, and the outcomes actually would be better. Is that actually solving the problem? Because it doesn't actually solve the problem of what's happening in Watts. It's great for the kids whom you're moving out, but what about for the kids who are left behind? CHETTY: So let me say - that's an excellent point. Let me say a few things on that. So first, I think we actually don't just need to assume that it would lead to better outcomes for the kids. We have direct data now looking at exactly those types of moves that shows very clearly the earlier a child moves from an environment like Watts to the nearby place with lower rates of incarceration, they're going to have a much lower probability of getting incarcerated themselves. Now, is that really solving the problem? Of course it's solving the problem for that given child, but are you solving a problem societally? So I look at it in two steps. So first of all, many low-income families already move across neighborhoods in a given year. Something like 1 in 5 low-income families moves houses in a given year. So the way we should think about this is not so much that we're going to take a family that was going to stay in a given place permanently, uproot them and move them somewhere else. But rather, at the point that they're moving for whatever other reason, let's potentially encourage them to make a more informed choice that might improve their kids' outcomes in the long run. That, to me, seems like a natural thing to do, just enable people to make the best choices possible. But then the deeper problem you point to is that are you really solving anything in places like Watts, where you have very adverse outcomes, simply by helping people move around? And I think the answer to that is, of course, no. The solution, at the end of the day - it's not a scalable solution to just move everyone. You're never going to move everyone out of Watts or, you know, a given city to another place. Nor should you try to. Ultimately, of course, you have to think about what you can do in a given place to improve outcomes. And so this is where a lot of where we're headed in the policy domain is not just the Moving to Opportunity approach that I described but actually partnerships with other organizations to evaluate and scale up programs that might improve outcomes in a given area. We're in conversations with groups that provide mentoring services. So think of programs like Big Brothers Big Sisters or My Brother's Keeper, which, specifically for black men, try to provide role models and mentoring. And there's a question of whether you can scale up and design those programs in a way that will really change outcomes in those particular areas. A third potential policy domain, given we're talking about incarceration, is changes in criminal justice that could potentially have significant effects in places like this. So I absolutely agree. You need to think about policy solutions both in place, in tandem with potentially giving families better opportunities to choose where to live. VEDANTAM: When it comes to higher education, which is, of course, where you work, you've found that some universities tend to be better than others in increasing income mobility amongst their students. Which schools are these, and what can we learn from them? Is there a policy prescription here? CHETTY: Yeah. So higher education, I think, is another domain. So just to connect these various pieces, the way I look at mobility is kind of a pipeline from birth to adulthood. And so we've spent a lot of time focusing on elementary education, kindergarten, neighborhood experiences as you grow up. And then, of course, you get to college. And college is a place where a lot of us, I think, have the intuition that it's this domain where you're going to mix with a new group of people, it's going to be a lot more diverse than the neighborhood in which you grow up, and so forth. And so the starting point to note here is that that actually is not true in the United States. So colleges are just as segregated by income as the neighborhood in which you grow up is. That is, your chances of meeting someone from a different socio-economic background in your college are just about the same as your chances of meeting someone from a different socio-economic background in the high school that you go to. So certain colleges in America, especially the elite, private institutions, have a very high representation of extremely high-income students in their student body. Now, the consequence of that - coming back to the question about mobility - is you can't, in a mechanical sense, contribute a lot to upward mobility if you don't have a lot of low-income kids to begin with, right? Harvard, mechanically, cannot be helping a lot of low-income kids climb the income ladder because there aren't that many low-income kids at Harvard, Stanford, Princeton, Yale, et cetera to begin with. In contrast, if you look at a set of mid-tier public schools - think of places like the City University of New York or California state colleges - we find that these colleges, in an accounting (ph) sense, actually have the highest rates of socio-economic mobility. And as a result, if you ask how many kids are starting out in a poor family and moving up the income distribution, it's these mid-tier public schools where you see a lot of that happening. VEDANTAM: We began this conversation, Raj, by talking about your own life. And I actually want to end the conversation by going back to your own life as well because I think your own life story, in some ways, is very instructive about many of the ideas we've talked about today. You know, as I was preparing for the interview and I was reading up some things about your life, I remember a story about the philosopher Bertrand Russell. He grew up in a family of writers, and he assumed when he was a kid that everyone wrote books. At one point, Russell meets someone. And if I'm remembering the story correctly, I think it's a gardner. And he's astonished to find the man is not an author. And I thought of that story when I heard that as prolific as you are, you were the last person in your family to get an academic paper published. Is that actually true? CHETTY: Yes, that is actually true. And I actually think I remember my father telling me the story about Bertrand Russell when I was a kid. So I come from a family of academics. I have two older sisters, both of whom are researchers as well. And so I was the last one in my family to get a Ph.D. and publish a paper. And so it was definitely in the air, in the water, so to speak, around me. And as I've talked about, through various examples empirically, I think exposure, environment plays a huge role. And I absolutely see that in the work that I'm doing. VEDANTAM: And I think that is the deeper truth to the story - your own life story, but also the work that you've been doing. You know, when we think about excellence, we think of, you know, Raj Chetty, MacArthur genius. We imagine the lonely climber on top of the mountain. But in reality, the story you're painting is much closer, you know, to the ideal - you know, Isaac Newton's ideal, if I've seen further, it's because I stand on the shoulders of giants. CHETTY: That's absolutely right. And I think, Shankar, that was made most evident to me actually in thinking about my extended family, where I see, you know, the many different experiences that we've had as a result of the environments in which we grew up. So in particular, as you might know, in Indian families, growing up - especially in villages in poverty, families often chose one child to educate. And so it so happened to be, in my father's family, he was the one who ended up getting higher education, ended up coming to the United States to University of Wisconsin Madison to get a Ph.D.
And my mom was one of the first women to become a doctor in our community in South India - again, the only person in her family to get a higher education. And what I've seen is how those decisions have manifested themselves through the generations in our family. So my cousins, many of whom actually have the same name as me - Raj, you know, named after my maternal grandfather - while they all are happy in their own ways and are leading fulfilling lives, the opportunities they've had have been dramatically different, with one of them living in Singapore to support his family in India and, you know, not able to be with his kids as they're growing up, another in - working in kind of a, you know, difficult job in New York City in kind of a manual-labor sort of position. And so again, I think the opportunities I've had - exactly as you said - are entirely a function of the environment that I happen to have been lucky to grow up in - and, you know, I think more broadly, have been studying how to replicate those opportunities for others. VEDANTAM: Raj Chetty is an economist at Harvard University. Raj, thank you for joining me today on HIDDEN BRAIN. VEDANTAM: This week's episode was produced by Rhaina Cohen and edited by Tara Boyle and Camila Vargas Restrepo. Our team includes Jenny Schmidt, Parth Shah, Thomas Lu and Laura Kwerel. Special thanks to Katelyn Harrop (ph), who recorded the kindergarten class you heard at the top of the show. Raj mentioned a tool that tracks economic mobility neighborhood by neighborhood. You can put in your address at opportnityatlas.org. Once again, that's opportunityatlasorg. Our unsung hero this week is principal Ryan Junge at Keystone Elementary School in Iowa. When we were trying to figure out which kindergarten classroom we wanted to visit, we looked for a school in a part of the country that has one of the best records of upward mobility. That's how we found Keystone Elementary in a rural part of eastern Iowa. Principal Junge allowed us to hang out in one of his kindergarten classrooms. Now, it takes a lot to run a school. And having an audio producer running about isn't high on your list of priorities. But he got on board very quickly and figured out a way to make it possible. We are grateful. For more HIDDEN BRAIN, you can follow us on Facebook and Twitter. If you liked this episode, please share it with one friend. I'm Shankar Vedantam, and this is NPR.